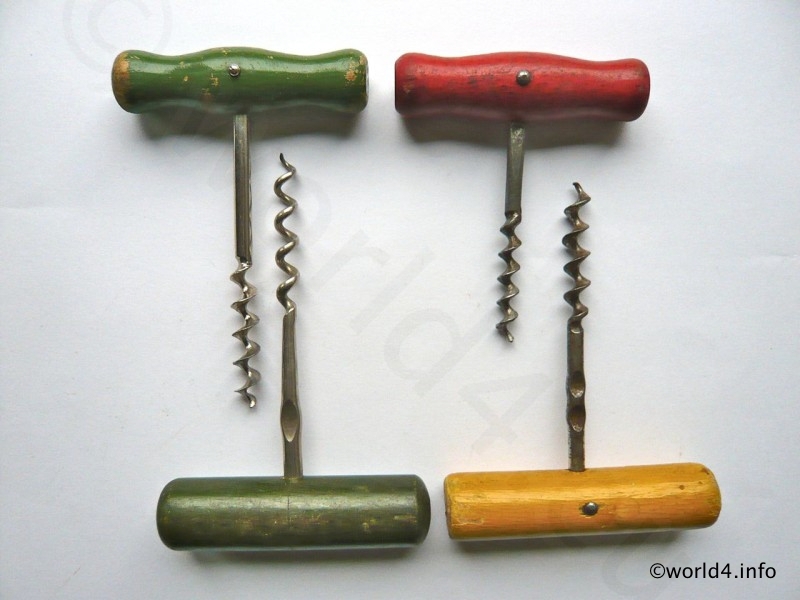 Wine Bottle openers, German Corkscrews 1920s. Four old corkscrew in a simple and very common form. Made around 1920s to 1960. The only difference is the length of the corkscrew and the color and shape of the tool handle. Next PostGerman limonadier wood handle 1970s design.